Opening Reception: Fri., September 24, 5:00 – 9:00 p.m.
Deanna Leamon (b. 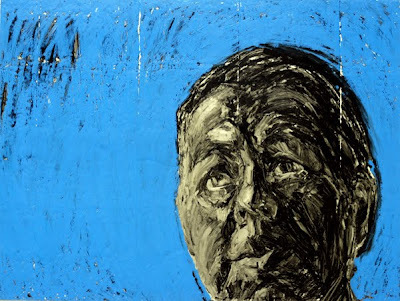 1957) will present a new body of work made with oil stick on insulation board. 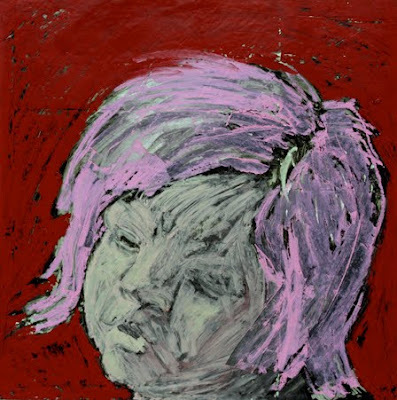 In the paintings, Leamon uses the metallic surface of the insulation board as a base color for most of her portraits. Leamon is known for her figurative drawings, most often in charcoal and, therefore, typically rendered in blacks, grays and whites. In this new body of work, however, she uses color, especially blue, red, pink and yellow. Leamon recently moved from Columbia to Massachusetts. Until a few years ago, she taught at the University of South Carolina art department, from which she resigned to work full-time as a studio artist. Her work was in Thresholds: Expressions of Art and Spiritual Life, a 2004 exhibition organized by the South Carolina Arts Commission that traveled the Southeast for three years. She also was represented in The Felt Moment, a 2003 show of art from the Carolinas at the Columbia Museum of Art. Leamon was in 100 Years/100 Artists: Views of the 20th Century, an overview of 20th century South Carolina art at the S.C. State Museum. 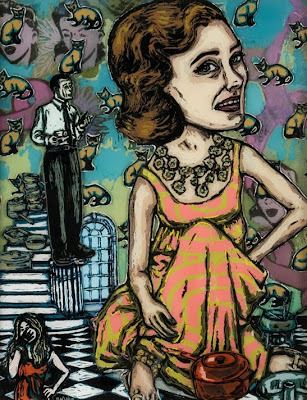 Dorothy Netherland, Kitten And Cat, 2010, ink, acrylic, silkscreen and ink transfer on glass, 14 x 11 in. 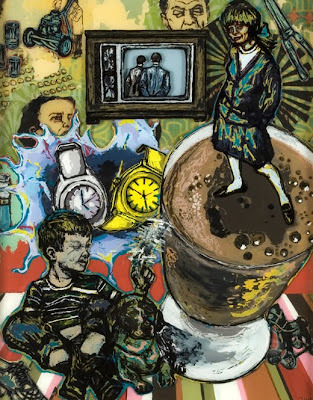 Dorothy Netherland, Time Bomb, 2010, ink, acrylic, silkscreen and ink transfer on glass, 14 x 11 in.